Nicholson Construction is a family owned business dedicated to excellence and complete satisfaction since 1980. Nicholson Construction continues to set the standard for remodeling excellence in the Lodi area. Nicholson Construction has become the areas oldest remodeling construction company devoted exclusively to residential remodeling. We offer the finest products that will add the greatest value to your home. We continue to strive toward setting the benchmark in quality, value and beauty for your home. Our ultimate commitment is to you, the homeowner. Nicholson Construction in Lodi, California specializes in residential remodeling and renovations. 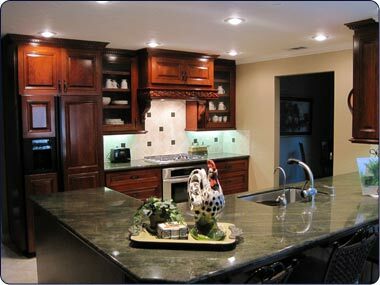 We provide kitchen remodeling, bathroom remodeling, energy efficient doors and windows, entertainment centers and home offices. Payment Methods Accepted- Cash, Check, Visa or Mastercard.